Since it’s Halloween, you absolutely must have a few sweet things to munch on. 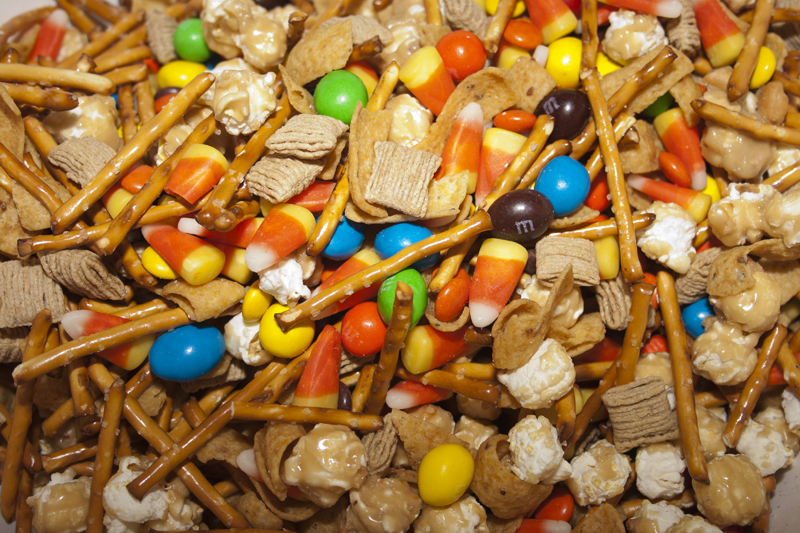 Try this easy Scarecrow Crunch or as I call it for grown up parties “Tooth Decay Fodder”. It’s a perfect mix of sweet and salty with enough good (bad) stuff in there for every kind of munchie tooth! Mix all ingredients together in a very large bowl. Serve as desired.